Ian Funnell is a graduate of Aberdeen University in Engineering Science. He is a Fellow of the Institution of Engineering & Technology, a Fellow of the Institute of Directors and a member of the World Economic Forum Taskforce for Infrastructure Investment. Mr Funnell has had a long and distinguished career in the global energy sector. He started in the UK utility sector, joining ABB originally in 1999, in manufacturing, utility and global oil & gas sectors. 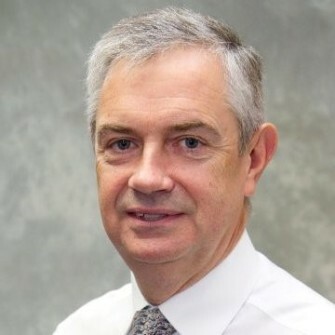 He rejoined the UK utilities in 2008 as the Director of Major Projects, and latterly as the Managing Director of Scottish Hydro Electric Transmission plc. Ian rejoined ABB in November 2012 in France as Group Vice President in the global utility sector and latterly as CEO and President of ABB SA (France). Ian was appointed Managing Director of ABB in the UK in January 2015. ABB (www.abb.com) is a leader in power and automation technologies that enable utility and industry customers to improve their performance while lowering environmental impact. ABB in the UK operates from more than 20 locations nationally and employs around 2,300 people. The ABB Group of companies operates in around 100 countries and employs about 117,000 people.